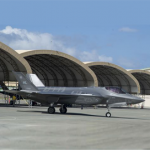 The U.S. Air Force plans to deploy 300 airmen and 12 F-35A Lightning II aircraft from Hill Air Force Base in Utah to Kadena Air Base in Japan, marking the U.S. Pacific Command‘s first operation tasked to the F-35A fleet. 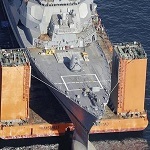 The aircraft are expected to arrive at Kadena in November to begin a six-month rotation, PACOM said Monday. The deployment is part of PACOM’s Theater Security Package program, which aims to demonstrate U.S. efforts to contribute to security in the Asia-Pacific region. Gen. Terrence O’Shaughnessy, Pacific Air Forces commander, noted that the fleet will work to integrate the F-35A into training and operations. PACOM noted the assignment to Kadena follows the stealth aircraft’s debut at the Seoul International Aerospace & Defense Exhibition in October.